March is National Nutrition month, and this month, our theme is #NOURISH. Nourish is a state of well-being…and a state of mind. Shaklee has what you need to nourish and renew yourself and the ones you love inside and out. Live Younger Longer: Healthy Nutrition – Get healthier and more energized with Vitalizing Plan. Provides advanced nutrition, customized for you. 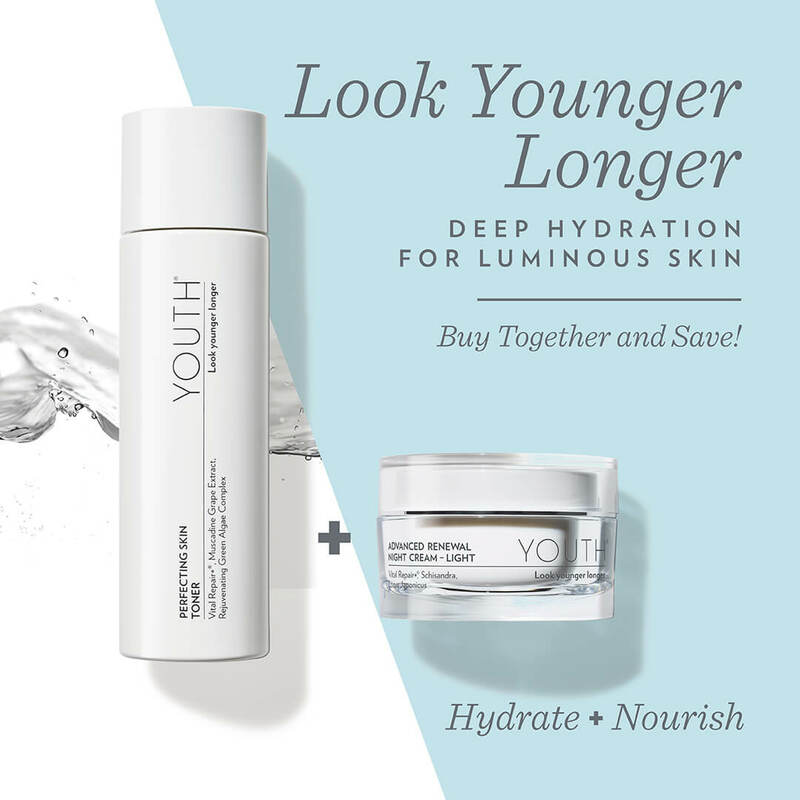 Look Younger Longer: YOUTH® Skin Care – Keep skin looking healthy and beautiful with our New YOUTH Power Duos. These Duos will help you get your skin “fit” for spring! 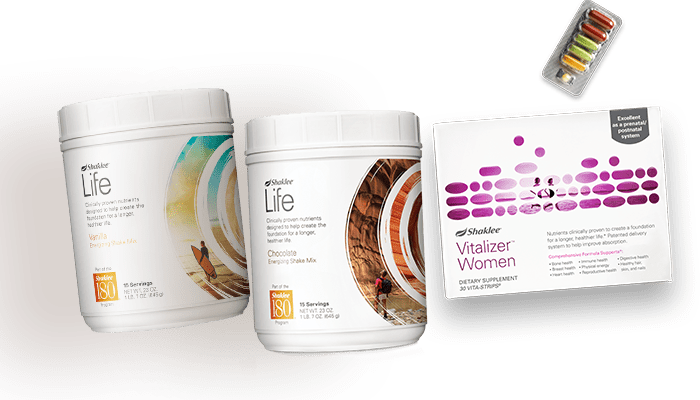 Vitalizing Plan combines the protein-rich Life Energizing Shake™ with Vitalizer™, giving you the essential vitamins and minerals your body needs, along with added nutritional benefits. The plan includes 30 servings of protein and 100% or more of the Daily Value of 23 essential vitamins, including twice the Daily Value of vitamins C, D, and E along with Omega-3 fatty acids, carotenoids and added probiotics within Vitalizer and Life Energizing Shake. Advanced nutrition, customized for you! Save $20 (Member Price) off Vitalizing Plan. Now through March 31st. Offer valid for purchases of Vitalizing Plan – #89384 Regular & #89404 Kosher. Actual discount varies based on price tier. This offer is available in the U.S. and Canada from Thursday, March 1, 2018, at 12:01 a.m. through Saturday, March 31, 2018, at 9:00 p.m. PT. Eligible orders must be placed online through MyShaklee.com, Shaklee.com, Shaklee Connect®, mobile or Shaklee PWS. This offer does not apply to orders placed through the Call Center or SBOSS. 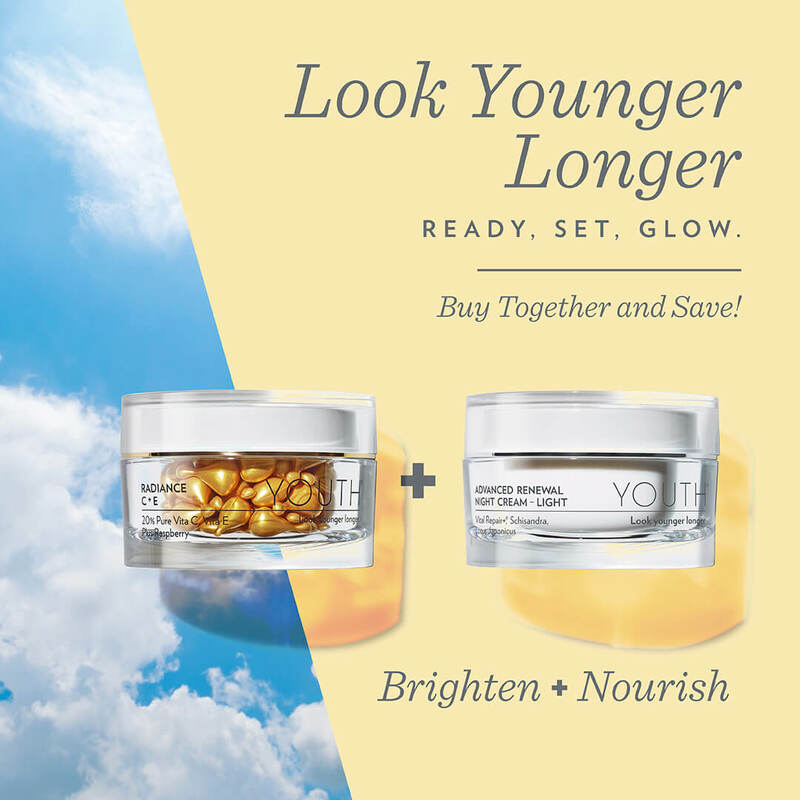 Nourish your skin with New YOUTH® Power Duos! Powerful duos for targeted skin care, harnessing the power of our multi-tasking Advanced Renewal Night Cream. Save when you buy these popular products together! Each Power Duo provides a targeted solution for a brighter, more radiant you. Buy together and save! * Say goodbye to dullness with the Brighten + Nourish Power Duo. Includes Radiance C+E to brighten, plump, and visibly reduce the appearance of fine lines and wrinkles, plus Advanced Renewal Night Cream to smooth and hydrate your skin. The perfect routine for a brighter, more radiant you! Skin renewal from the inside out. Buy together and save! * Take it up an notch with this powerful pair. Apply Youth Activating Serum nightly to renew skin at the cellular level for superior rejuvenation. Layer on the Advanced Renewal Night Cream to support your skin’s natural cell renewal while you sleep for younger-looking, smoother, and more luminous skin. Sleep, renew, repeat. * Save $10 at Member Price of $120. 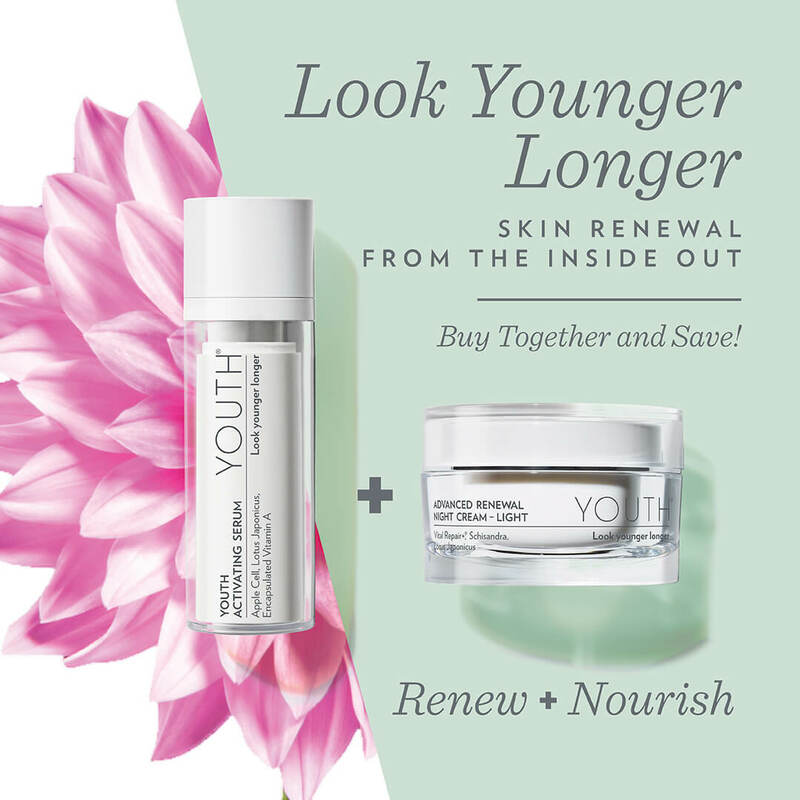 Discount based on sum of the Member Price of Youth Activating Serum ($80) and Advanced Renewal Night Cream ($50). Deep hydration for luminous skin. Buy together and save! * Your new go-to combo for long-lasting moisture. Apply Perfecting Skin Toner to exfoliate, hydrate, and nourish, and layer on the Advanced Renewal Night Cream to smooth and deeply soften your skin. Use in the evening to wake up to smooth and youthful skin, or the morning to protect your skin from the elements. *Save $6 at Member Price of $84. Discount based on sum of the Member Price of Perfecting Skin Toner ($40) and Advanced Renewal Night Cream ($50). Previous Previous post: RLEI March 2018 ROLL CALL! Next Next post: Shake Up Your Greens!